Volvo has launched a new episode in the Volvo Truck Live Test series of commercials. 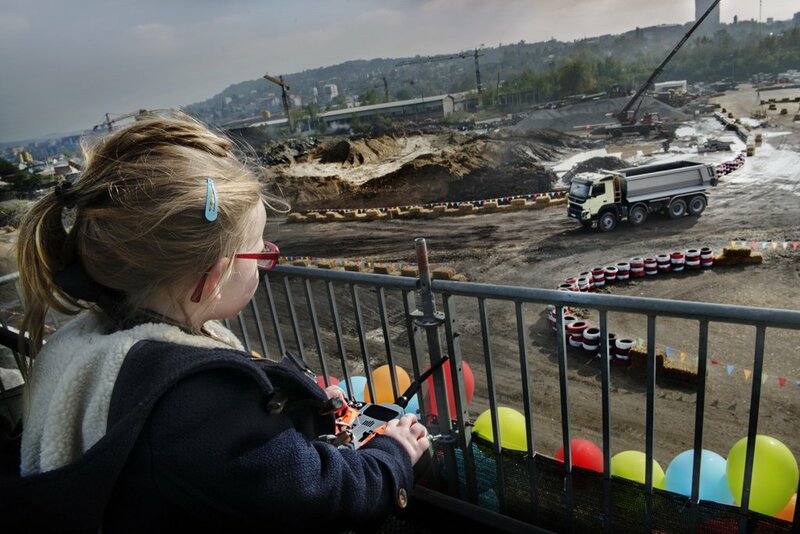 “Volvo Look who’s driving” features four-year-old Sophie is given the control of an 18 tonne Volvo FMX steering, accelerator, gearshift and brakes using a specially designed remote-control device. 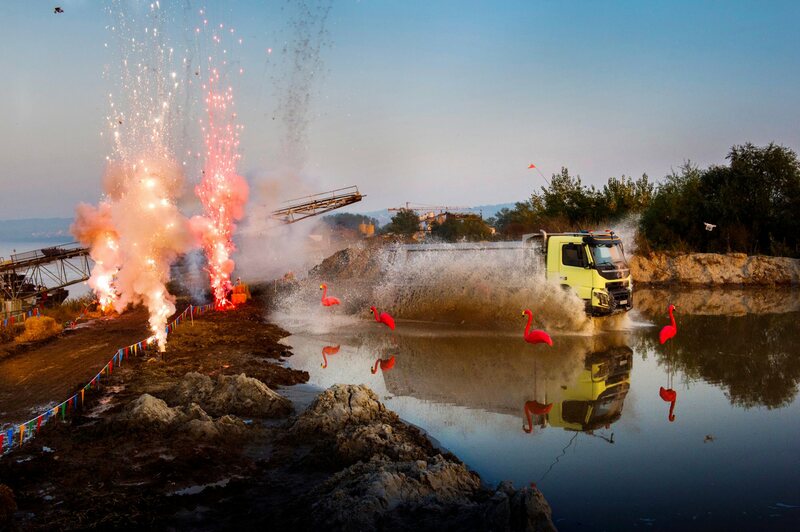 She puts the truck through some serious manoeuvres in a Serbian gravel pit, including driving through a thick brick wall and climbing a steep, soft slope, before rolling all the way down in a full 360-degree turn. The commercial promotes several new functions, including Automatic Traction Control, an all-wheel drive system that kicks in automatically when needed. The campaign includes a 28 second teaser, a 2:24 minute video, followed by a 2:17 commentary on new features. “To show what the truck can do, we wanted to give it a real challenge. What test driver is more reckless than an unpredictable four-year-old?” asks Ricard Fritz, Vice President of Volvo Trucks. The Volvo Look Who’s Driving campaign was developed at Forsman & Bodenfors, Gothenburg, by creative director/copywriter Douglas Reid, art directors Sophia Lindholm, Kim Cramer and Anders Eklind, copywriter Björn Engström, designer Jerry Wass, agency producer Alexander Blidner, digital producer Peter Gaudiano, planner Tobias Nordström, senior account director Olle Victorin, account director Cilla Pegelow, account managers Anneli Kjellvander and Britta Malmberg, working with Volvo Truck global marketing and communications director Ingela Nordenhav. Filming was shot by directors Megaforce (Charles Brisgand and Leo Berne) via New Land with producer Sophie Tamm Christensen, executive producer Erik Torell, photographer Robin Aron Olsson. Media was handled by BeOn. Editor was Nicolas Larrouquere. Post production was done at Swiss. Sound was designed at Kouz Production. Music is “Cobrastyle”, performed by Teddybears, featuring vocalist Mad Cobra. The behind-the-scenes video was edited by Stefan Spikh. The soundtrack, Jagged Little Symphony, was composed by Darren Leigh Purkiss at Audio Network.